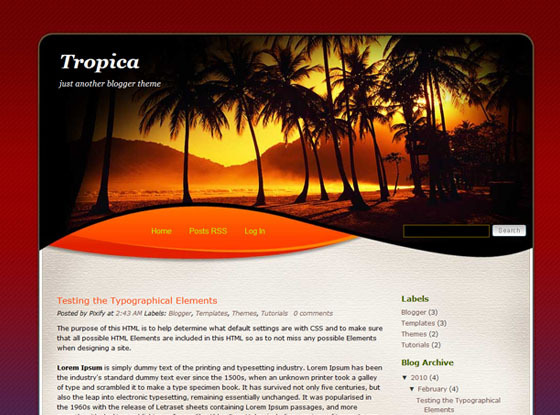 Tropica is a blogger theme that is suitable for travel blogs. I love this template, any chance of getting a snow capped mountain type theme? Thanks. show me a free snow capped website template or a free wordpress theme.I’ll convert it into blogger. Very GOOD.Can i have something in bright daylight?I’m about to start my own travek blog.Lakes and islands is what i’m looking for.Thanks.